Why you should choose me to be your real estate Agent, Durham, NC – FRANK WARD, REALTORS® – Why Choose Me! 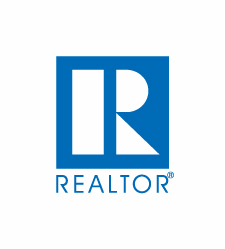 We are the REALTOR and Real Estate Agent for You! We have many years of experience successfully buying and selling homes and properties in the local Durham NC and surrounding area market. We know the neighborhoods, areas, schools, market conditions, zoning regulations and local economy. We will do the legwork, keeping you up-to-date with information and listings and conditions as they impact the market. We are a full-time real estate Company - anything less and you'd be short changed. We use our connections throughout the real estate industry, local connections, mortgage industry, local market, to get you the best deals possible. We will guide you through the complexities of buying and or selling a house, eliminating hassles and stress. We have done this a couple of times! As a standard business practice we preview homes when they become available, keeping you apprised of market conditions. You'll have the advantage of personal, one-on-one attention, as well as our web resources and other resources. We are up to date with technology, we text, email, drip listings, when they become available, updated web pages, updated connections, via web, etc. We have been here in Durham North Carolina since 1964- (for 54 YEARS)! Local and Family owned. Let's get together to talk about your home or property buying and or selling plans. Call us today at the office (919-688-5811) or send us an e-mail (info@frankwardrealtors.com), we'll set-up a time to meet that is easy and convenient for you. If you're not ready to meet in person, please tour my website. we are sure you'll find the resources here useful and helpful.